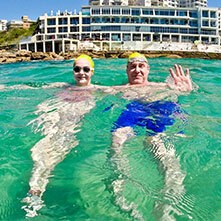 Are you an event organiser with an event you’d like listed on our popular ocean swims calendar? Our listings are free, but to get one up we need to make sure we have all the information someone looking to participate in it would like to know. We like to make our listings insightful, fun and useful to swimmers – so the more detail you provide the better. Once we have the information we require, please allow for 2-weeks before your event is listed. Would you like your event featured and promoted? We can help, check out our rates here. We LOVE event photos, if you have great photos that showcase your event please email them to us. Can people enter on the day?